If you are travelling to Toronto and you are going on business to meet with a client in Oakville, the Pearson airport and Oakville are not that far apart. The drive can be anywhere from 15 – 20 minutes and if you are in need to of getting there quickly, why not consider an airport shuttle service with Toronto airport limousines to be able to offer you with airport transportation services in one of the limo fleet choices that you may be interested in. an airport limo taxi service is a luxurious experience and one that you can go with or choose to offer to your client that is interested to fly into Toronto for the first time. There are many great ways to provide airport car services in Oakville, along with other areas of the GTA including Mississauga, Brampton, Toronto and Burlington. Depending on what it is that you are looking for, you will be able to find it here. From such limo fleet services as Lincoln Town Cars, to Lincoln Stretch Limousines, you will be sure to find all that you need here. A Lincoln town car can seat up to 5 people, so if there are not many people that you are travelling with or require the airport transportation service, a Lincoln town car is an option for you. If you have more people with you or travelling, including company executives, then you will be able to reserve a Lincoln stretch limousine and have the option of reserving a black one or a white one depending. If those are not for you, and you are looking for something more upscale and exotic, then you can choose an SUV limo such as a Chevrolet Suburban. A Chevrolet suburban is something that will be great because you will able to have the luxury that you want, and the privacy that may be required depending if you are bringing in a celebrity from out of town, choosing something like an SUV airport limo taxi is the right option. Providing you with airport car services in Oakville and Mississauga, and offering you with airport shuttle services, you will be able to find the right airport limo taxi services here. Choose Toronto Airport Limousines to be your first choice in airport transportation, for yourself, your client that is flying into the Pearson Airport for the first time, and company executives where you will need to reserve a Lincoln stretch limousine. 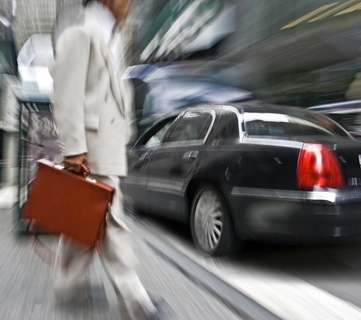 Airport shuttle services are for you and you will find all that you need here.